Cleaning up after a party can be quite a tedious experience, especially if you’re feeling run down from the celebrations of the previous night. It can also be quite discouraging seeing the state many of our living spaces turn in to after a party when we’ve spent ages getting it ready for the main event beforehand. Cleaning up after a party isn’t quite the same as carrying out an annual spring clean or regularly looking after your upholstery, as there are all kinds of things you might have to deal with once the party is over. Follow our guide to renewing your living space after a party and you might not be too worried about hosting further parties and enjoying yourself again in the future. The key to a clean, organised and successful party experience is to try and prepare before the party has actually begun or at least got into full swing. 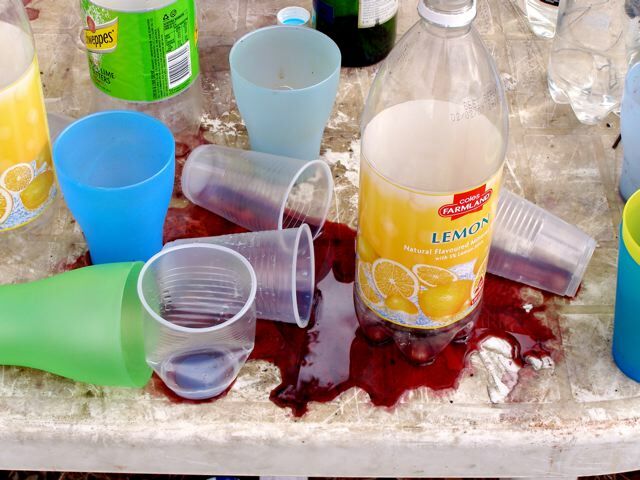 Start by putting out coasters for drinks so that you don’t have countless can or glass stains on your furnishings by the end of the night and at least one bin in every room so that rubbish ends up in the bin and not on the floor. To protect your furniture consider Scotchgard application to upholstery which can make cleaning up after spills a simple wipe away process. Also make sure that you designate an area where food is made available as this restricts food crumbs to one particular area and not the entire household. Leaving polite messages on the doors of rooms you don’t want people to access will help keep the celebration under control. Try and create as much free space as possible in certain rooms that are easy to clean, such as the kitchen. You’ll probably have to deal with empty cans, paper plates and other debris by the end of the night, so providing room in the kitchen for storing used items makes your clean up all the more easier. If someone accidentally spills their drink and stains the carpet or upholstery, provide your guests with easy access to paper towels so they can clean it up or at least make you aware of it as soon as it happens. Once the party is over, the best time to start cleaning is as soon as possible. If people have stayed overnight or are returning the next day, try and get an extra pair of hands to help you out. Start by equipping yourself with black plastic bags and go around each affected room clockwise. Begin the clockwise routine again with cleaning products to target stains, before a third and final clockwise routine to target items that belong in other places around the house. If you’ve found any particularly stubborn stains you need help with, Apple Clean are on hand to give you the assistance you need, whether you need upholstery cleaning or expert stain removal. So get in touch with Jonathan and the team today to help restore your home to former glories!